Fleet change news – yet again – HubNut – celebrating the average! 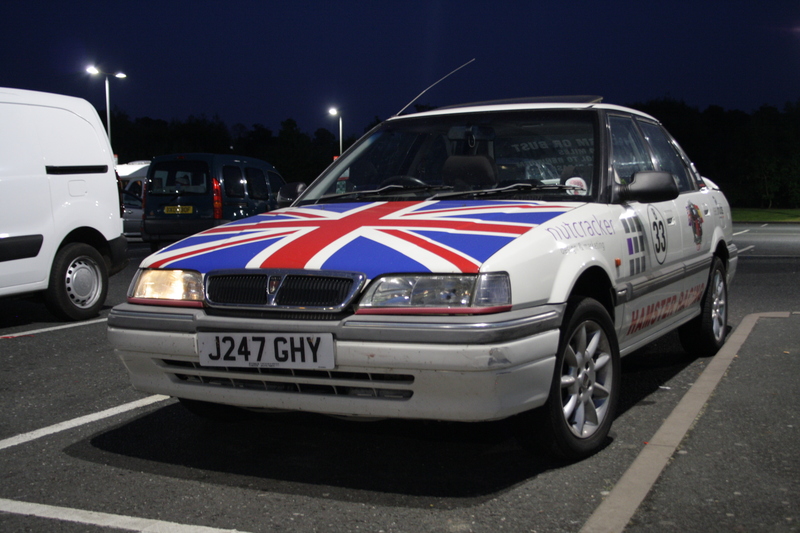 So, it seems the Rover has sold. I have a deposit, and collection is in the process of being arranged. It lasted over two months, which isn’t bad going for a car on my fleet! Ultimately though, the major flaw with it is that it isn’t a car I really wanted. In fact, that’s true of every car I’ve bought this year. Like all of them it just happened to be available when I needed a vehicle. It’s yet another car to tick off the list. Plus, I got to improve it. A lot. Remember that it looked like this in July. I didn’t own it for long, but I think I improved this Rover quite dramatically! I’ve been a busy boy though. As well as continuing my investigations into the realities of electric vehicles, and the future of motoring, I’ve been very much planning my next vehicle. I can confirm that it is a vehicle I actually want to own. Of course, the main problem now is will it disappoint? Last year, the vehicle I very much wanted to own was a Land Rover Discovery. It was a pretty dreadful example (my budget often leaves me with someone else’s dregs) but I had a lot of fun with it, exploring its very impressive off-road credentials. That still didn’t stop me selling it of course, as I slowly but surely discovered that to own a Land Rover, one needs to have a pretty large reserve of cash for the constant repairs that are necessary. I’m hoping my new purchase will be better in that regard but the truth is, at the bottom end of the market, big bills can be just hiding around the corner. Thing is though, I still like to throw money at a cheap car rather than the towel. Thankfully, the good people of Autoshite tend to be the same – the home of enthusiasm for cars no-one else likes. Folk there put insane amounts of time and money into cars that are worthless. They do it because worthless doesn’t mean hopeless. I hope my new purchase works out. I certainly do have The Fear. Income has gently started to improve of late, but we’re still trying to live The Good Life on one exceedingly variable freelance income. It has been a pretty stressful summer, so I hope people won’t mind me indulging in a bit of luxury. Whether I can do so on a pauper’s budget remains to be seen. Hopefully all can be revealed next week, as the next Collection Capers unfold. Of course, all this faffing about still fails to address what I do about the 2CV. I’m hoping for more chunky invoices so I can deal with that problem next year. We shall see.